Tools, Habits and Behaviours PROVEN to promote Personal, Team and Corporate Resilience and Well-Being. 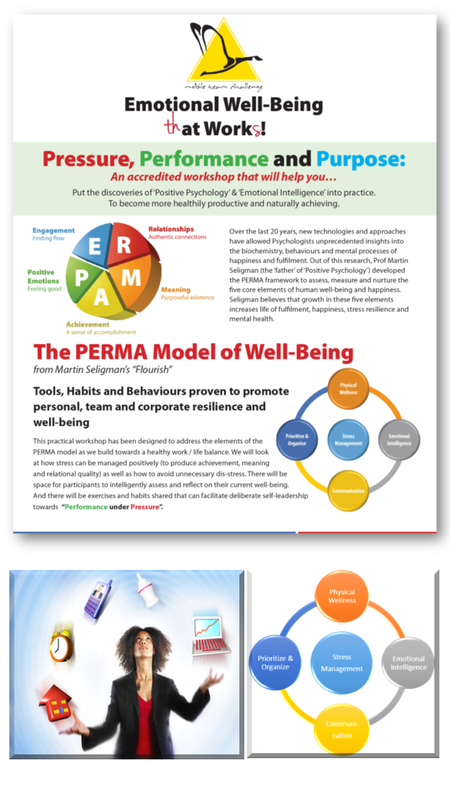 This practical workshop has been designed to address the elements of the PERMA model as we build towards a healthy work / life balance. We will look at how stress can be managed positively (to produce achievement, meaning and relational quality) as well as how to avoid unnecessary dis-stress. There will be space for participants to intelligently assess and reflect on their current well-being. And there will be exercises and habits shared that can facilitate deliberate self-leadership towards “Performance under Pressure”. To book your Team or Department onto this revolutionary workshop contact us now. 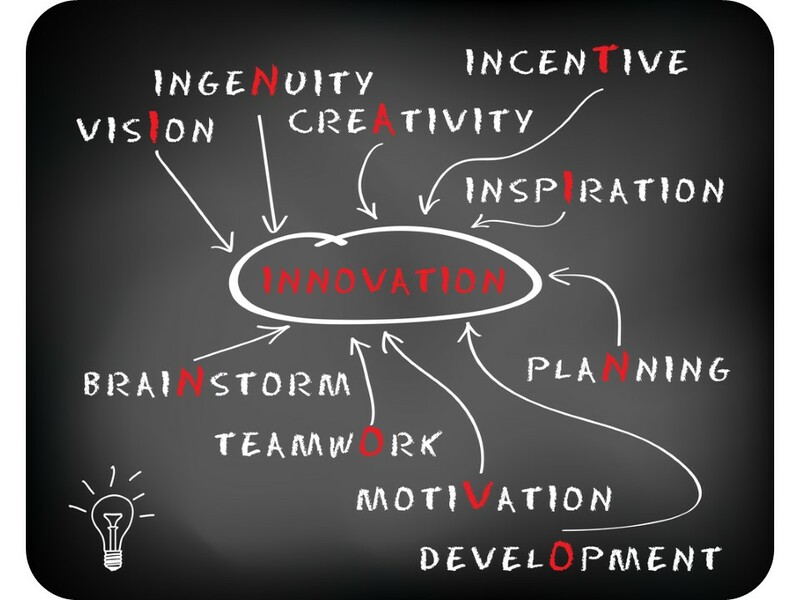 Nowadays the word ‘Innovation’ seems to appear in every organisations Values or Mission Statements! …and we are, probably, claiming that our Business Processes are ‘Innovation in Action’ ?… but is that three words…or two? To see the current and true definition of the word ‘Innovation’ – we have to consider the individual elements and understand the 3 Attitudes which constitute true Innovation. This workshop is facilitated by an ex Senior Manager of 3M – who, according to Tom Peter’s Best Selling Book “In Search of Excellence” – is the BEST COMPANY in the World for Innovation. Delegates will learn some fascinating insights into companies who have mastered the art of innovation: 3M, Apple, Nike, several leading Local Authorities and NHS Foundation Trusts and will hear best practice examples of Innovation and Creativity across every Sector. Learn how to create a culture of Innovation within their Teams. Learn the impact of Leadership Styles: Are they encouraging or stifling innovation? Learn how to overcome the “Blame Culture” which kills innovation. – Avoid Patterned Thinking – Shifting that Paradigm! 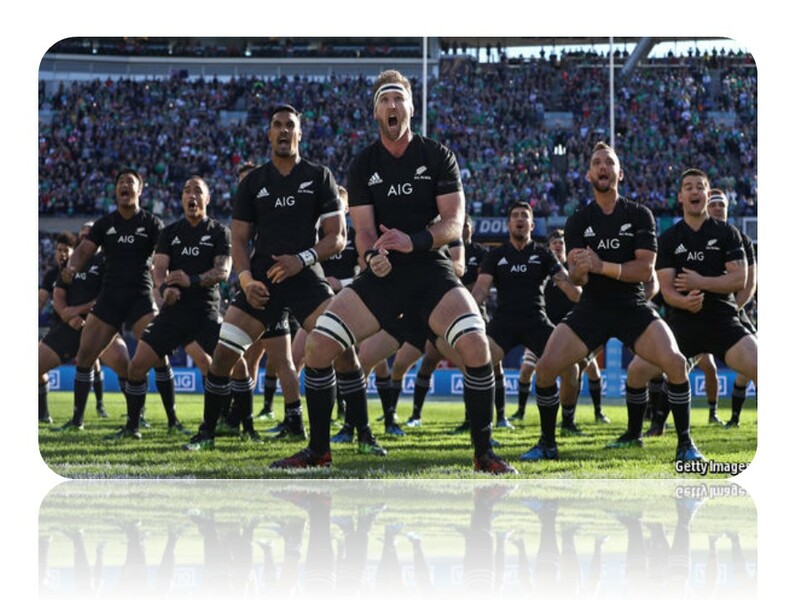 After a great performance, athletes have described a feeling of being “in the zone.” In this state, they feel invincible, as if the game slowed down, the crowd noise fell silent and they achieved an incredible focus on their mission. What is this Superman-like state and how can players enter it when they most need it? Like the feeling of being moved down a river by the current, this positive groove has been described as a “flow.” In fact, Mihaly Csíkszentmihályi, psychology professor at Claremont Graduate University in California, coined the term in his book, “Flow: The Psychology of Optimal Experience” (Harper & Row, 1990). Disney’s Customer Service Excellence + FISH! This Workshop focuses on analysing exactly how many things CAN go wrong in the “Customer Facing” area of your Company. It covers an in-depth analysis of every “Moment of Truth” where a Customer can form an opinion of your Company or Service based on their experience and prepares a strategic “Analyse, Fix / Improve, Measure” process of Customer Facing activities in order to ensure Customer Intimacy and Customer delight. The workshop looks at WHY? Disney has won the award for Best in Class for Customer service for almost 40 years. We explore the Principles of the Magic Kingdom and take in the award winning FISH! video as we focus on Service Excellence. Delegates will compete a Service Improvement Plan during the workshop. What IF ……. Disney ran your Organisation? Mickey Mouse Customer Service? … I think NOT!! In a Survey of Senior Executives – over 6,000 Executives believed that understanding the Customer viewpoint was ‘very likely’ to lead to Customer Service ROI, viewing it as a key driver of increased efficiency. The 9 Principles of Service Excellence – How does Disney “DO” Customer Service? 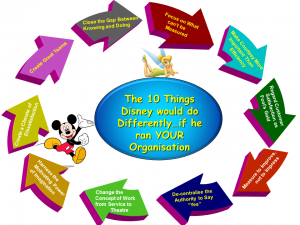 What IF … Disney ran your Organisation? The Disney Principles of Service Excellence: What can we apply in our Organisation? Setting our Service Standards for our Organisation: On a scale of 1-10: how would our Customers score us? How to turn Raging Customers into Raving Fans! Creating a Culture of Compassion and Empathy by developing our E.Q. Click Here for a Preview of this Award Winning Video – FISH! The cost of this module is £ 875 + VAT for groups of up to 12 delegates. This cost includes all preparation, materials, workbooks and trainers expenses. As a facilitation technique, Appreciative Inquiry involves articulating questions that reveal positive potential within groups and individuals. As a Strategic Planning tool it builds on the positive core of your organisation and enables your team to anticipate, recognise and amplify its potential. AI Effectively is a powerful vehicle for accelerating change and inspires high energy team commitment, innovative solutions, increased motivation and improved morale grounded in existing organisational goals and best practices. Work From a Deep Appreciation for Strategy and Strategic Planning. 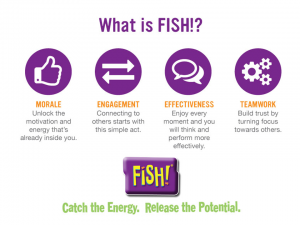 Unleash the Strengths in Your Own or Client Organisations.  Discover Opportunities: Present and Emergent. Create Bold Images of the Most Preferred Future. Identify Individual and Organisation Aspirations that Support that Future. Create Innovative Strategies for Achieving Your Vision. Connect with Others Who Are Using SOAR®. Draw from Other Organisations Who Have Used SOAR® Successfully. “Stress is likely to become the most dangerous emerging risk to business in the early part of the 21st century”… so says the Association of Insurance and Risk Managers. Being able to constantly achieve peak Performance under Pressure requires us not only to survive – but to actually thrive in an environment of pressing deadlines and target achievements etc. Identifying the dis-stress creators and the ‘early warning’ signs of stress and distress is critical to our understanding as to the dangers lurking in our homes and our workplaces. Lifestyle awareness and stress management are the keys to healthy well-being and motivated individuals. This 7th habit will identify the causes of stress and how we manage them. The module will include a personal Bio-Rhythm Test using state of the art Pulse sensors and software which will demonstrate what things create stress in individuals and the delegates will learn some stress management techniques – the immediate effect of which will be demonstrated by the pulse sensors and bio-rhythm software screen displays. How do Effective People ensure that they stay effective and don’t become disillusioned with yet another stressful deadline? Can I REALLY control my own bio-rhythms to help diffuse DISTRESS??! Identifying the stress creators and the ‘early warning’ signs of stress and distress is critical to our understanding as to the dangers lurking in our homes and our workplaces. Lifestyle awareness and stress management are the keys to healthy well-being and motivated individuals. What do my emotions have to do with it? Our brains are incredibly power muscles – but let’s not be too dismissive of the role that the heart has to play with Dis-Stress Management. Whilst our brain can store the memories of us playing with a cute little puppy, it can also conjure up memories of the last time we stroked a dog and it bit our leg! So even the sight of a cute puppy could send a “stand by to repel borders” instruction from the Brain to the Heart as memories are recalled. The brain immediately starts to produce chemicals to help resist the savage beast and, simultaneously, requests that the heart start pumping these chemicals around the body as soon as possible – this is when we start to feel palpitations. As these ANS hormones are being produced and pumped around the body at break-neck speeds, our emotions become a lot less controlled. It is during this “fight or flight” stage that Stress and Dis-Stress awaken and start to thrive in the panicky climate that the heart and brain have created between themselves. Our brain has 3 levels of hierarchy. Level 1 is where our “fight and flight” feelings live. Level 2 is where all of our Emotions live: anger, love, hate, jealousy etc and Level 3 is where Dis-Stress cannot live, nor will it EVER visit this level. Despite the fact that our brains are immensely powerful – they can be a little lazy! It is for this reason why we need to educate our brains to engage the 3rd level of hierarchy where ALL Dis-Stress and Emotionals can be fully managed successfully. 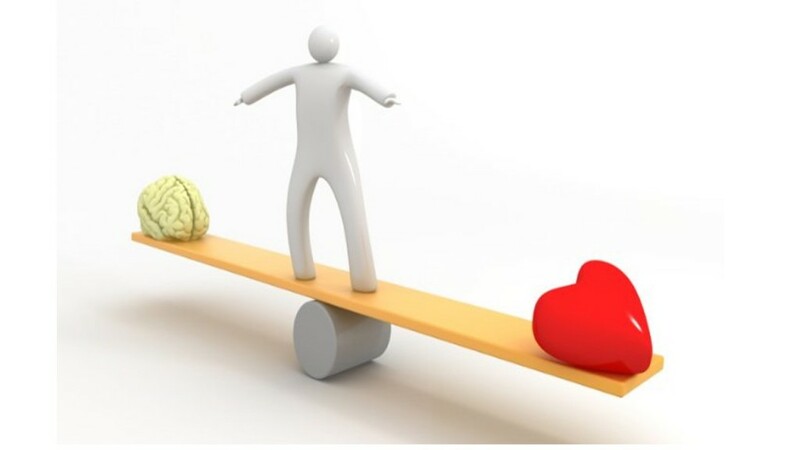 Learning how to manage our Bio-Rhythms and educating our Brain and Heart to work together is the perfect antidote to dis-stressful life balances. Delegates will be invited to participate in the HeartMath Bio-Rhythm assessment which measures their pulse via an ear-sensor and will determine the resilience of their emotions against stress. 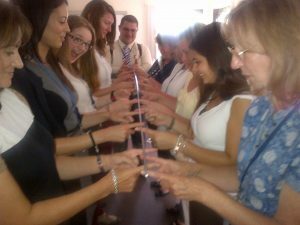 Delegates will also learn how to increase their resilience through 3 simple techniques and the improvement will be demonstrated via a second HeartMath assessment. Self-Analyse the candidates Peak Performance Zone, Stress and Distress thresholds via personal biomedical demonstration utilising HeartMath bio-rhythm assessments. Investigate the key causes of stress and to do personal assessments of behavioural and communication styles which will increase their self-awareness of how their ‘style’ might be causing stress to others. This programme offers more control of your life. In particular you will control how your work affects your overall happiness and the happiness of those who matter most to you, including your colleagues and staff and family. During the programme you explore how you choose to manage your life and work, and the results you get from this choice. 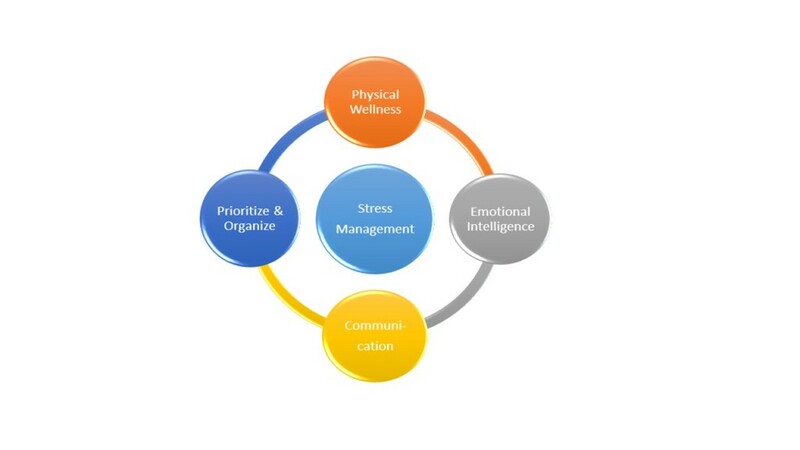 The Workshop explores the causes of and management of stress. Focusing on what really matters to you, you learn how to make decisions and create time for actions that contribute to your long term goals. You will address your own specific work-life issues practically, as you learn these skills. As a leader you also coach others during the programme to achieve all these benefits. 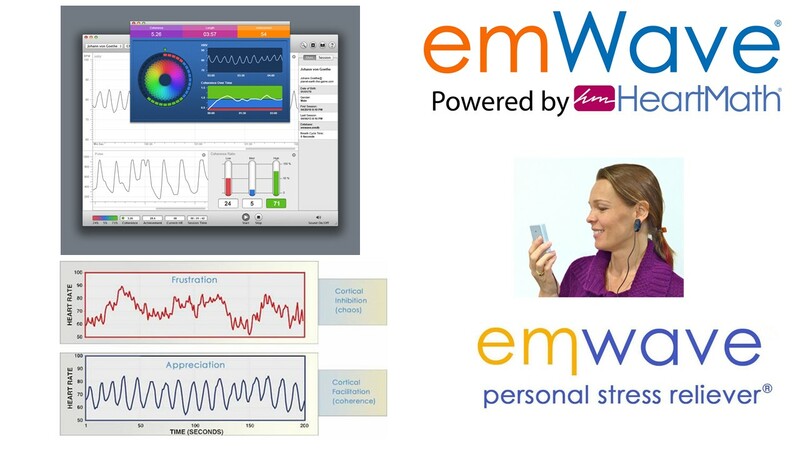 Each delegate will receive a personal bio-feedback on their heart / brain coherence using EmWave / Heartmath Software. Mobile Team Challenge combines Appreciative Inquiry Summit strategies with internal coaching teams to create whole systems change that sustains itself. How can organizations change at the speed of imagination? Skilled facilitation of Change Management using Appreciative Inquiry results in high-energy collective buy-in at all levels of the organisation along with the enthusiasm, motivation, and energy to move forward quickly. Through collaborative inquiry and strategic visioning, organisations, teams, and individuals unleash the human energy and imagination necessary to spark powerful innovations and radically transform their future. Implement the revolutionary new concept of Breakthrough Strategic Thinking; The outcome? Your organisation will experience improved motivation and morale with results that are grounded in organisational goals and current best practices. The current climate dictates that we all need to do something different, and even perhaps something, “extraordinary”, this year in order to maintain, and to further improve, our performance of our individuals, teams and organisations. How can we take a different approach to Change? How can we make ourselves more adaptable to Change? How can we develop a personal “Coping with Change Strategy”? How can we become involved in designing the “new”? How can we move from a “Let Go” to a “Let’s Go!” position? How do we get to feel “more in control” through Change? How can we learn to embrace change and accept it? How can we overcome our natural resistances to Change? 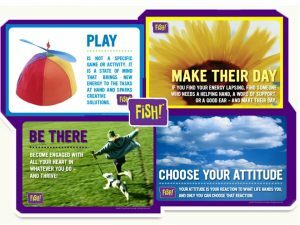 How do we build a Positive attitude through Change? What are the 7 habits of Highly Effective People during Change? How can I get a better understanding of the emotional effects of Change? How will I know what is expected of me during Change? This a very practical and interactive course has been designed to enhance your ability to negotiate effectively and influence others to achieve results by utilising the powers of Emotional Intelligence and by unleashing strategies and tactics which will give you the Psychological Advantage in any Negotiation. As used by Unite the Union, Unison the Public Service Union and the TUC for disputes and mediation techniques as well as companies such as Vodafone, McAfee, IBM, Siemens, B&Q for Sales Contracts and Purchasing Negotiations. Here’s a test … if you were given a choice as to which seat you would sit in to conduct a boardroom negotiation – which seat would you choose to give you the psychological advantage over your negotiator? Get one step ahead of your negotiator by applying these techniques and achieve Mastery at the Negotiation table. Click Here to download an Overview of this inspirational Workshop. The Workshops are tailored to focus on internal or external communications covering Presentation Skills, Running effective Meetings, Listening Skills, Appreciating Communication Media; e-mail, SMS, telephone, face to face, written etc This course combines adventure experiential learning and self awareness techniques – either at our Adventure Centre or on-site. 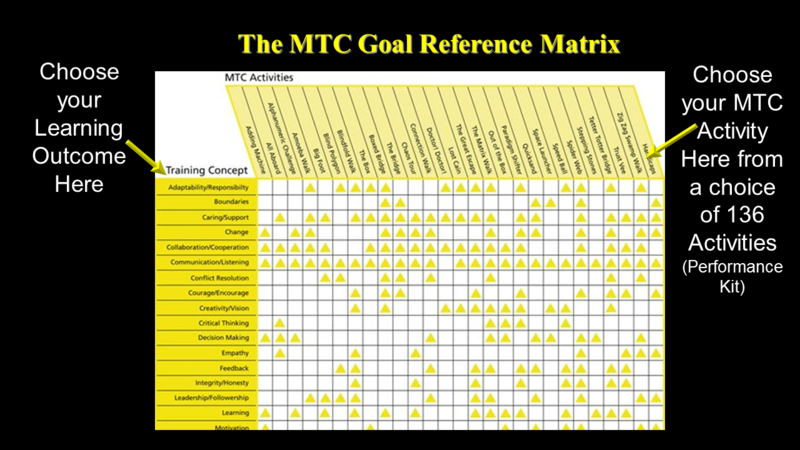 The MTC approach is a global phenomenon. It is helping thousands of organisations in fourteen countries, on five continents around the world, become more positive, more capable and more effective!